The Red Sox have dealt left-handed reliever Rich Hill to the Los Angeles Angels in exchange for cash considerations. The Milton, Massachusetts native was signed to a minor league contract before the 2014 season and had been pitching for Triple-A Pawtucket. The Angels have purchased Hill's contract and added him to the 25-man active roster. The 34-year old Hill appeared in 40 major league games with the Red Sox between 2010 and 2012, posting a 1.17 ERA in 31 2/3 innings. He seemed to have solidified his niche in the 2012 bullpen, appearing in 25 games, before a torn left elbow necessitated Tommy John surgery. 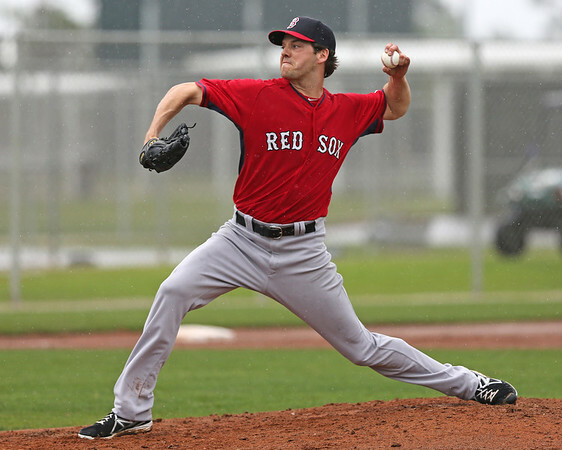 After spending 2013 with the Cleveland Indians, Hill returned to Boston on a minor league deal. In 25 games with Triple-A Pawtucket, Hill had a 3.23 ERA and 45 strikeouts in 39 innings. Overall, Hill has appeared in 181 major league games since 2005. He debuted as a starter with the Chicago Cubs, but retooled his delivery from an overhand motion to a sidearm slot when he converted to a reliever with Boston in 2010. The veteran appealed to the Angels who have been attempting to retool their bullpen, as they sit atop the current wild-card standings despite a bullpen that ranks 11th in the American League in ERA. The Angels also added fellow veteran Jason Grilli last week in exchange for former closer Ernesto Frieri.